Placing itself within the burgeoning field of world literary studies, the organising principle of this book is that of an open-ended dynamic, namely the cosmopolitan-vernacular exchange. 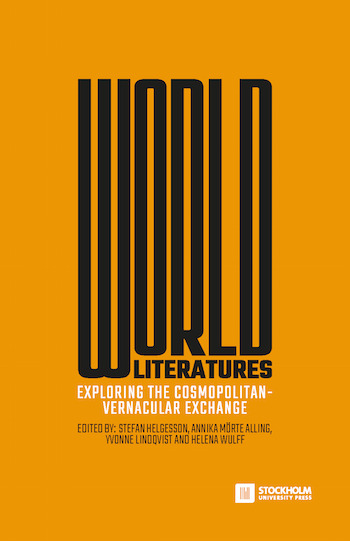 As an adaptable comparative fulcrum for literary studies, the notion of the cosmopolitan-vernacular exchange accommodates also highly localised literatures. In this way, it redresses what has repeatedly been identified as a weakness of the world literature paradigm, namely the one-sided focus on literature that accumulates global prestige or makes it on the Euro-American book market. How has the vernacular been defined historically? How is it inflected by gender? How are the poles of the vernacular and the cosmopolitan distributed spatially or stylistically in literary narratives? How are cosmopolitan domains of literature incorporated in local literary communities? What are the effects of translation on the encoding of vernacular and cosmopolitan values? Ranging across a dozen languages and literature from five continents, these are some of the questions that the contributions attempt to address.